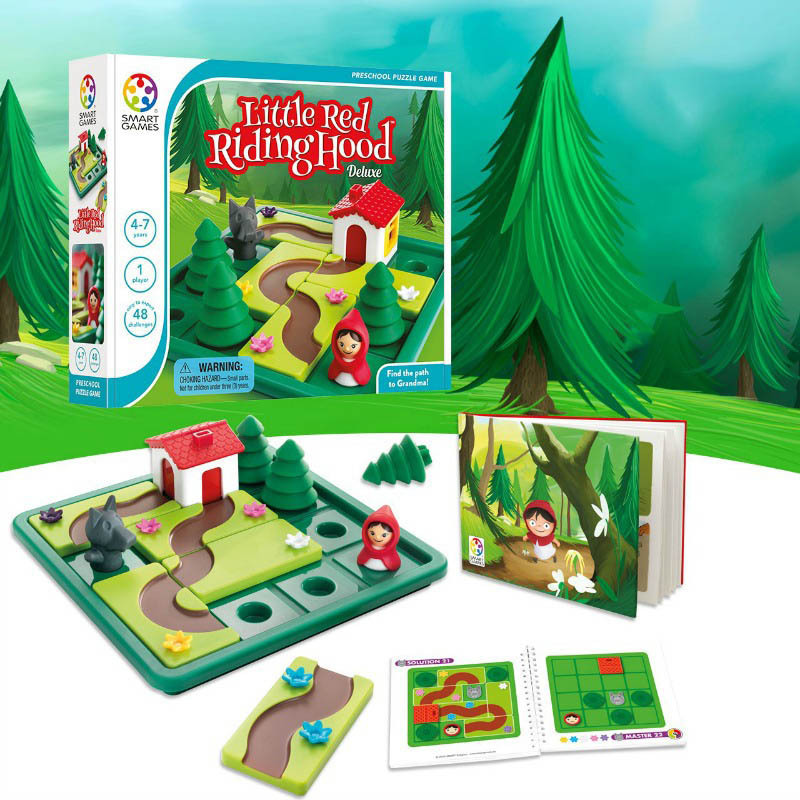 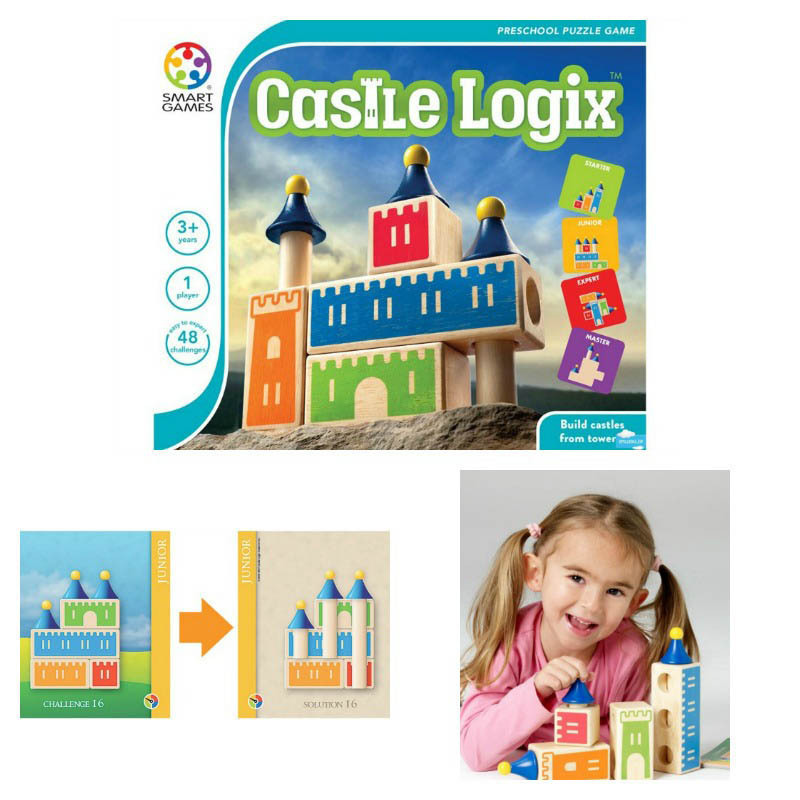 Build castles from towers with this excellent problem solving game by Smart Games. 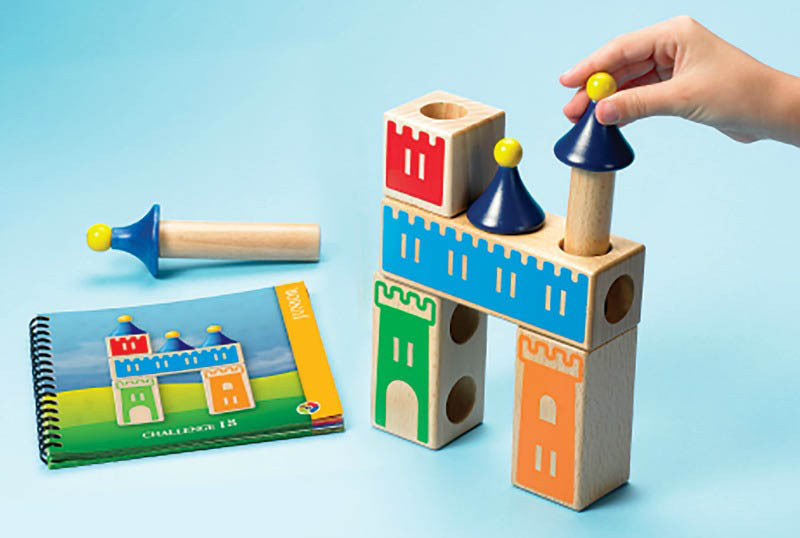 Beautifully crafted this 3-D wooden puzzle will have young minds intrigued and challenged to re-create the images on the challenge cards. The 3 towers have sticks of different length and the blocks have holes, but not always in the same direction, making this game not as simple as it may intially appear. 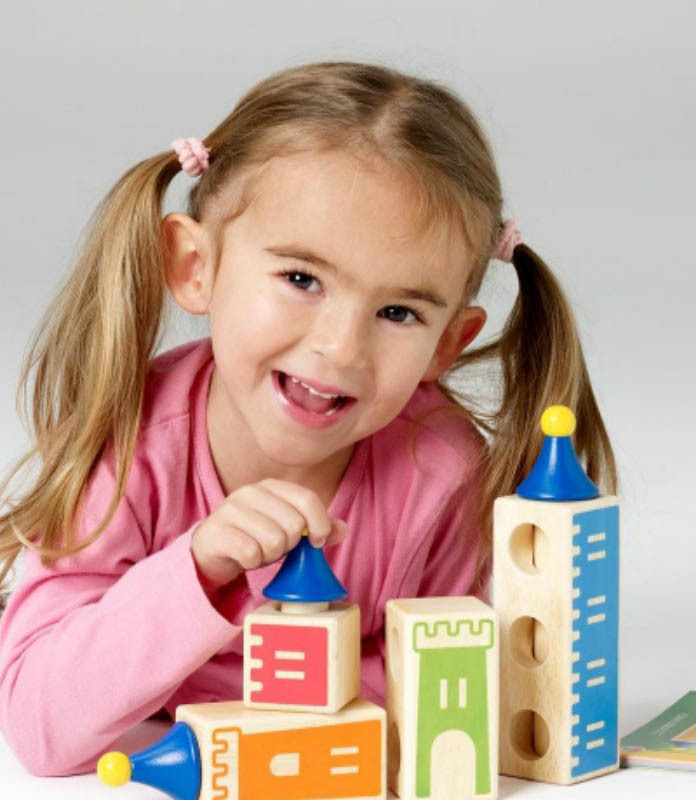 The 4 difficulty levels enables the game to be enjoyed by preschoolers through to primary grade children. 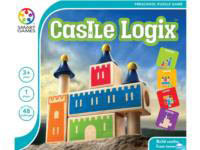 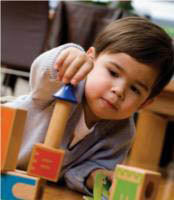 Castle Logix stimulates cognitive skills of logic, spatial insight, problem solving, concentration and planning. 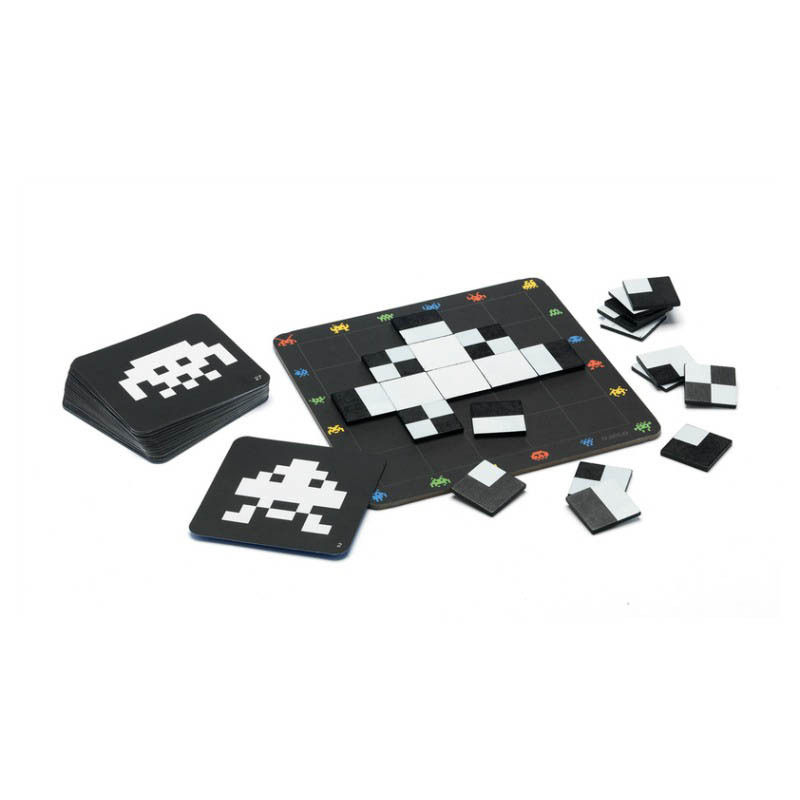 How to play : Choose a challenge. 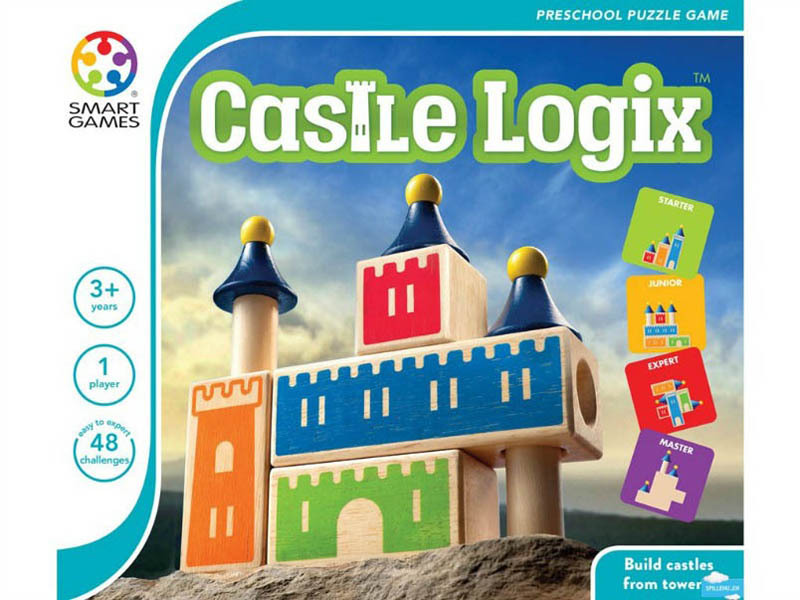 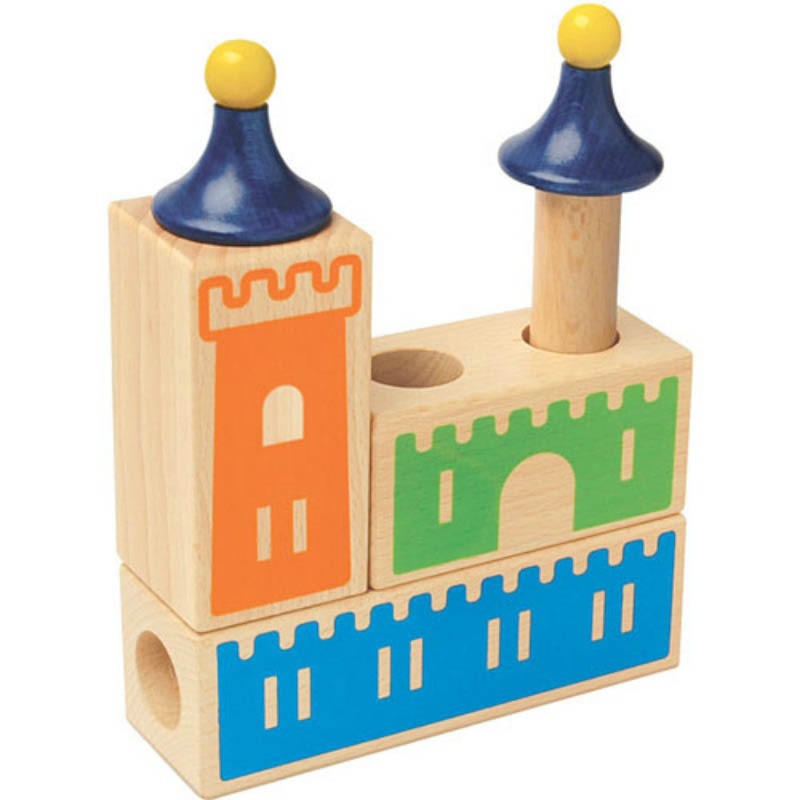 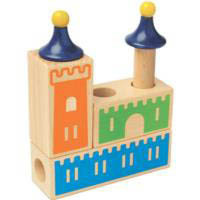 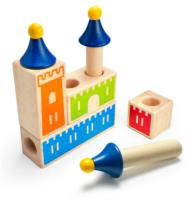 Arrange the blocks and towers to build your castle. 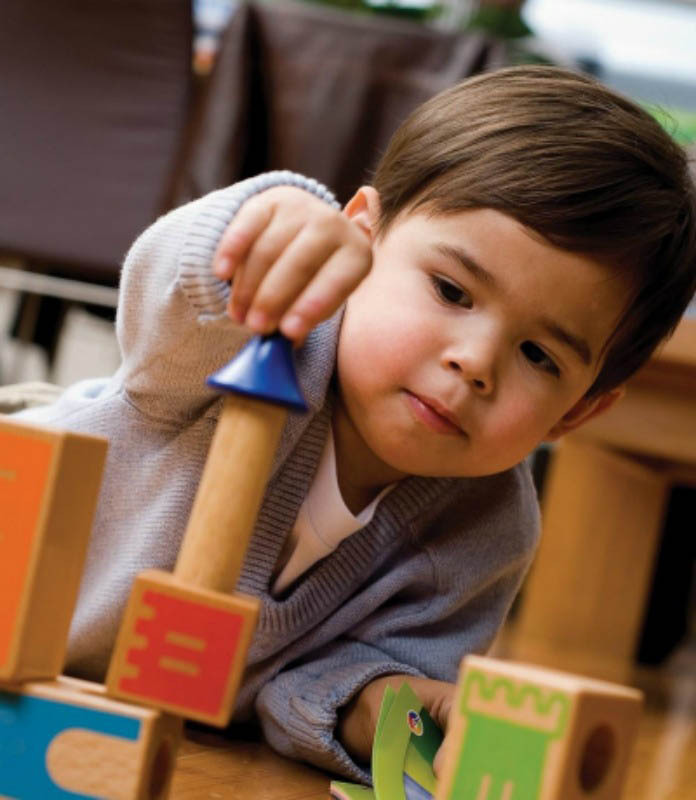 Check your solution on the flipside of each challenge page.